The Franco-German Youth Office (OFAJ-DFJW) is an official partner of SpielFabrique. This experienced cooperating partner helps us by jointly promoting and developing relations, projects, jobs, internships, experiences, co-productions and financing operations as well as sales and marketing between game developers of both countries. 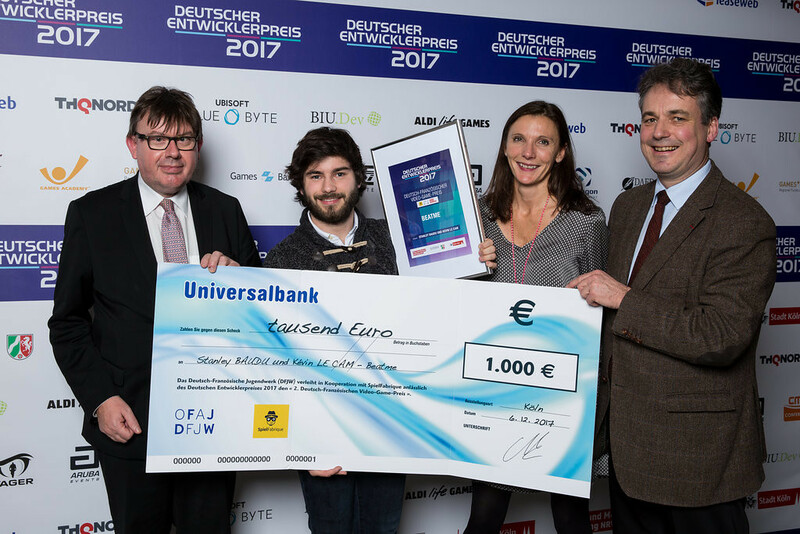 The German-French Video Game Award was awarded on December 6th in Cologne (Germany) during the 2017 Deutscher Entwicklerpreis, by the French Consul of Düsseldorf, Vincent Muller, the General Secretary of the Franco-German Youth Office, Markus Ingenlath, and Odile Limpach from SpielFabrique. 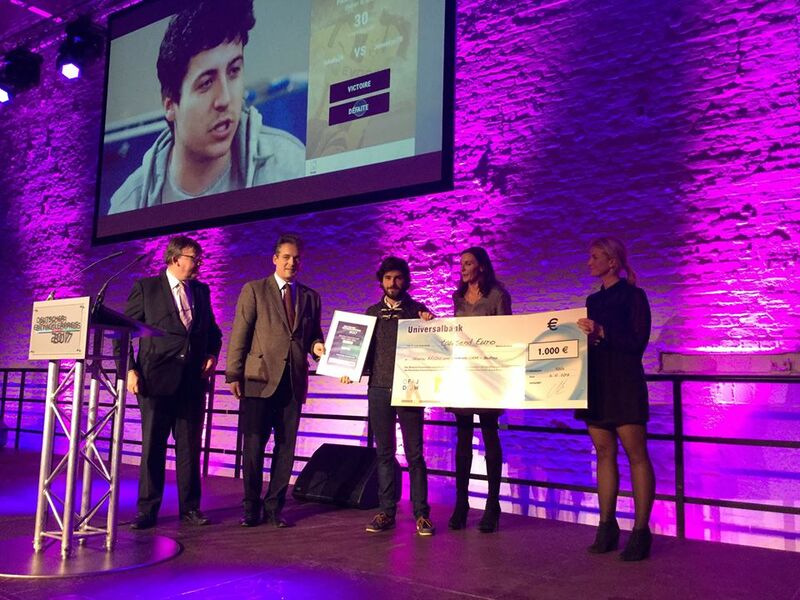 The prize money – 1 000 euros – was bestowed to a Parisian studio, BeatMe, for a rewarding platform with intercultural and commercial potential in Germany. Together with DFJW, we will routinely publish comparative data on the video games market in France and Germany.